With the holiday season around the corner, it is important to have a few signature pieces to help you feel confident at any kind of holiday soirée. Black Friday is the perfect time to find these pieces, especially when you are a college student on a tight holiday budget. ** Note: You probably do not want to use all these accessories in one outfit. 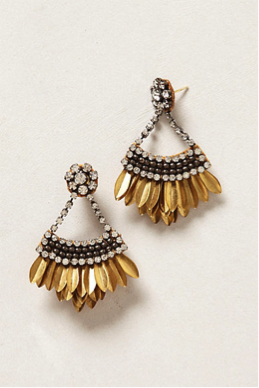 Dangling Earrings like the ones featured below from Anthropologie instantly dress up any outfit and can make any girl feel glamorous. 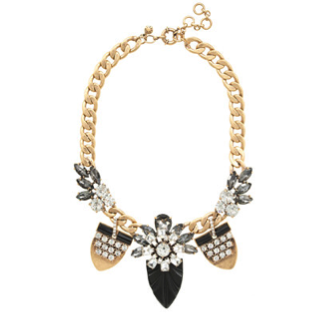 Again like the dangling earrings, a statement necklace can bring an unexciting outfit from drab to glam. The necklace featured above can be found at JCrew. 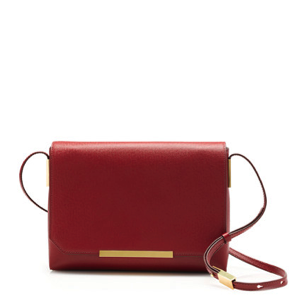 Walking into a party with a purse that you feel proud of will help to boost your holiday spirit another ten points. Plus, you don’t have to worry about where your keys, phone or lipstick will go. Bracelets can help to bring any outfit together. This year a popular brand is Alex and Ani, as featured above. Alex and Ani have a wide variety of bracelets to choose from and it is said that each bracelet is infused with positive energy, a look that looks good on any individual. While the weather outside maybe getting colder, the sun will remain to shine. 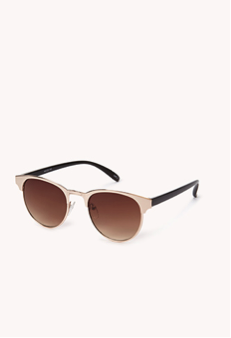 Invest in some great new sunglasses that will be great for all those day time family get togethers over the next month.